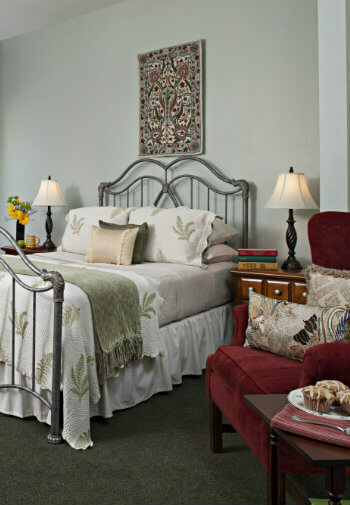 The luxurious Anna Woods suite at Carlisle House Bed and Breakfast is ideal for vacations, business trips, or weekend getaways in the Harrisburg area. This suite features two queen-size beds, each in a separate room, each with a private bathroom, one with soaking tub and jetted shower, and the other with a walk-in rainfall shower. Double Occupancy rates for this suite vary from $249 to $309 according to the season. Up to 2 additional guests can be accommodated at $25 to $35 per guest according to the season. If you prefer not to book online, please call us at 717-249-0350 or email us at Info@TheCarlisleHouse.com. This two-room suite, joined by privacy doors, is ideally and comfortably located on the first floor at the rear of the inn. The rear room is decorated in soft green colors and linens and features a late 19th century fireplace façade, comfortable high-back chair and a well-lit work area with both Ethernet and wireless Internet connections, and of course a power strip to recharge your smart devices. It also has a private entrance from the side guest patio. The front room is decorated in soft French accents with comfortable lounging chair, worktable and large bathroom. 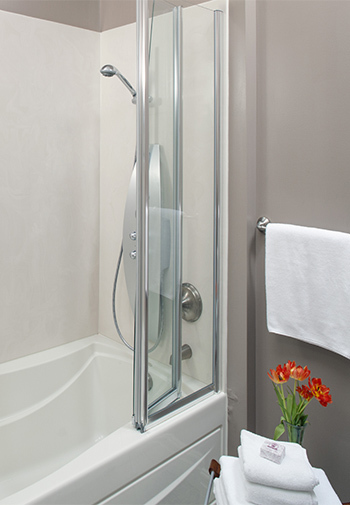 Relax in the five-foot soaker tub or revitalize with the European multi-jetted shower. 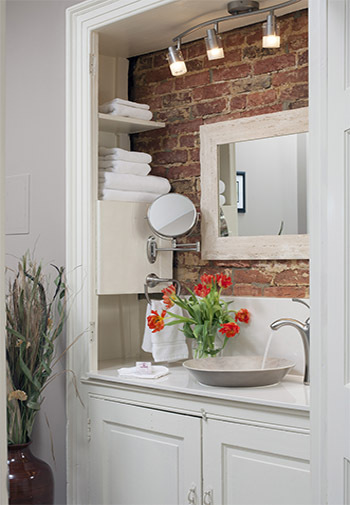 The decorative porcelain vessel sink is set into one of the china cabinets of the 1826 dining room and features the original brick wall of the house. The bathroom to the rear provides a walk-in corner shower with a rainfall shower head.